You can use your finger, a makeup sponge or stippling brush for application, but I find that you may use a tad more product with the sponge than with the other methods. On the lips you can use your finger or a lip brush to apply it. 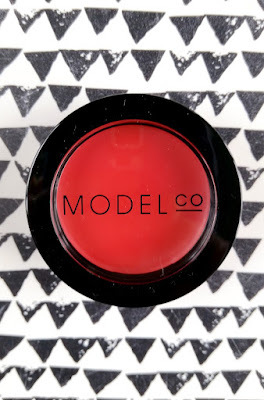 The first thing that you will notice with ModelCo's Creme Rouge is that even though the shade may look a little daunting in the pan, when applied it is a beautiful coral. The pigmentation is good and a small amount goes quite a long way. As promised, it is both sheer and buildable. 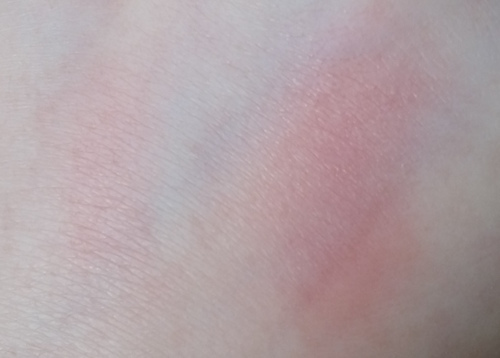 It also blends out beautifully on the skin with minimal effort. The swatch below is a small amount blended on the left for more subtlety and with it built up for more opacity on the right. You get enough time to blend it out properly before it sets, so there is far less chance of blotches of product. On the lips I find that it applies with a creamy finish that dries matte. It has some great lasting power as well and very little transfer. 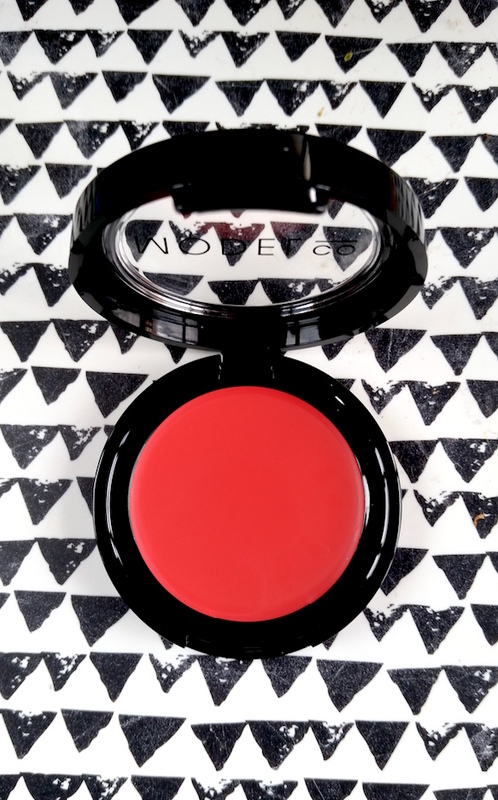 It can feel a bit drying on the lips, but it isn't the most drying product. Overall, I'm really enjoying Creme Rouge. The colour is gorgeous and super wearable. It's perfect for spring and summer for that subtle pop of colour that lasts. Whether you like a more vivid wash of colour or a subtle hint, you are likely to find what you are after with this. You can purchase the ModelCo Creme Rouge Cheek and Lips for £14/3.6g from ModelCo. 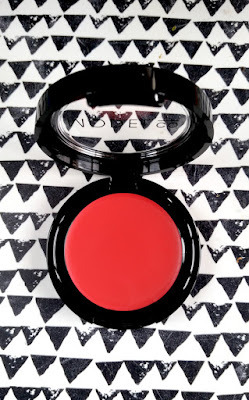 What are your thoughts on the ModelCo Creme Rouge Cheek and Lips? What's your favourite multitasking product?